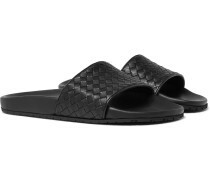 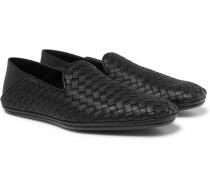 Black leather (calf) - Leather linings, rubber soles - Come with dust bag - Made in Italy -Even stripped back to its most minimal, Bottega Veneta 's intrecciato motif still speaks for itself. 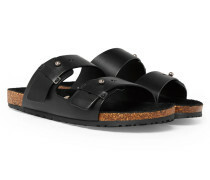 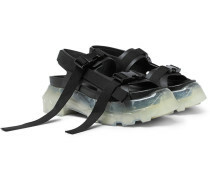 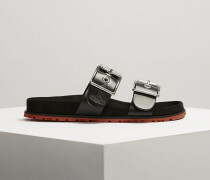 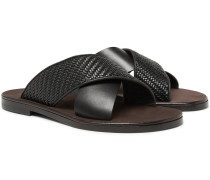 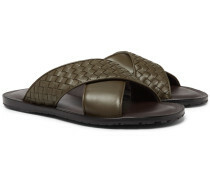 These sandals have been crafted in Italy with smooth leather crossover straps accented with a discreet take on the weaving technique. 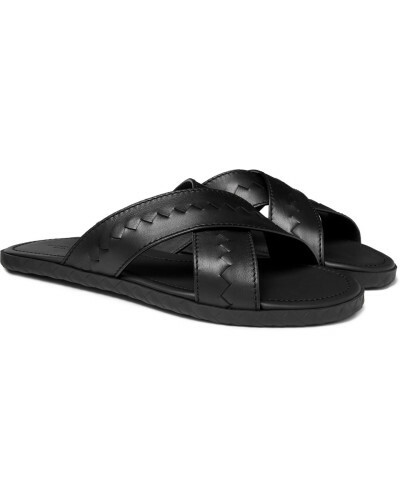 The padded footbeds and flexible rubber soles make them really comfortable. 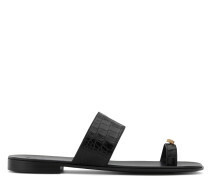 Shown here with Valentino shirt, Valentino trousers.